Frank Vandenbroucke is University Professor at the University of Amsterdam (UvA). He also teaches at the University of Antwerp (UA), where he holds the chair “Herman Deleeck”. 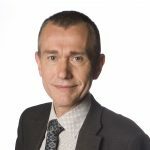 Vandenbroucke was Minister for Social Security, Health Insurance, Pensions and Employment in the Belgian Federal Government (1999-2004), and Minister for Education and Employment in the Flemish Regional Government (2004-2009).